Hairston, who will be attending his first MNT camp, will report on January 10 to the National Training Center in Carson, California. 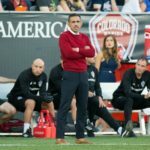 Head coach Pablo Mastroeni could use another option on the wing to improve Colorado's scoring. 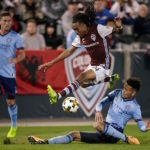 Alan Gordon’s go-ahead goal nine minutes from time gave the Colorado Rapids a thrilling 2-1 victory over the Montreal Impact. 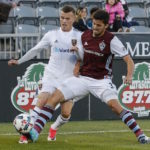 German winger Stefan Aigner tallied his second goal in as many matches to give the Rapids the early lead in a 1-1 draw Saturday. Following a tumultuous 2015 season, Sean St. Ledger can hopefully look forward to a stable 2016 with the Colorado Rapids. Colorado was playing the role of spoiler against their top rival in the final home game of the 2017 season. 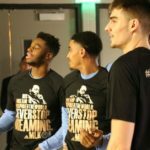 For many athletes (and millions of others), it is people like Dr. King who are the heroes; paving the way to make it possible for them to live out their dreams. 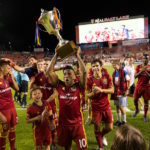 Dominique Badji’s third goal in as many games was not enough as Colorado dropped a 2-1 contest against the Western Conference leaders, Vancouver. 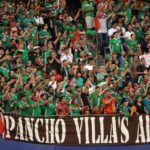 Javis Arellano, a native of Mexico and executive producer and anchor of El Templo Futbolero, explains the importance of the Mexican National Team's trip to Denver.